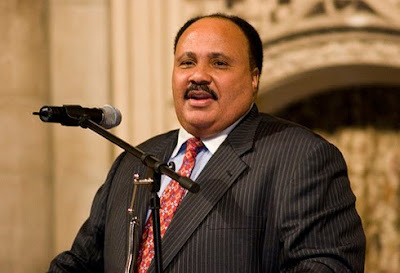 (AJC) - Martin Luther King III has resigned as president of the center formed to promote the legacy of his father. The move comes on the heels of another major announcement last week that Bernice King, the surviving daughter of the Rev. Martin Luther King Jr., was named CEO of the King Center. That position was previously held by Martin King III. The news just a day after the nation observed what would have been the 83rd birthday celebration of King, who was assassinated in 1968. In a statement, King said he would remain active as a member of the board of trustees. "I will be devoting my primary future efforts towards launching a new organization that will focus on supporting a new generation of young “drum majors for justice” worldwide to expand my commitment to the Kingian principles of nonviolence, social justice, and human rights.," the statement said. "To that end, I will announce further details in the coming weeks." So tell me why he can't do that through the King Center?? ?